HOW TO CREATE A GREAT LINKEDIN SUMMARY! What makes a great LinkedIn Summary? What should be included? Should you style it like a resume or add your personality? Do you even need one? These are some of the most asked questions I answer in my LinkedIn Profile Coaching Services. And guess what? This month I am offering 30 minute FREE consultations just for YOU. My LinkedIn followers! Why you ask? Because I have decided to pay it forward as I received a lot of my training complimentary. I also think everyone should be aware and knowledgeable of how one simple change on your profile will allow you to expand your connections and reach tremendously. I know this as I indeed was that person a year ago not believing what an impact these little changes could have. Whether you are looking for a job, recruiting job candidates, getting back into the working world these simple changes matter and will change the way you look at this wonderful platform we know as LinkedIn! So…If you are ready to get some FREE tips and tricks to spruce up your profile please message me or email me at kelly@kellyanngorman.com to book your appointment before all my slots are filled up. I still have a few this Friday and next week! That’s right! You read that correctly. For the remainder of this week I will be offering FREE 30 minute LinkedIn Coaching Services for new clients. If you are in need of an updated profile, more sales leads, new job, brand visibility or just a basic lesson, LinkedIn Coaching Services is just what you need! And I am here to help! Below is a list of lessons included in your coaching session that you may choose from. To get started please contact me here. Wishing you a happy and productive Monday! Ready to get your FREE LinkedIn Coaching? Contact me here. And follow the rest of The Happy Workaholic posts right here! TGIF! Is it me or did this week just fly by? O.M.G. Yes! I just said that. Today I am writing about being FEARLESS! Welcome to Fearless Friday folks! I strongly believe that in order to succeed in life and business you have to at some point take risks and be fearless! It’s a scary thing I know but you just have to trust me. It will pay off. And in more way than one! If you have goals, write them down and set a date to achieve it. If you get knocked down, it’s ok. Get up, take note and come back stronger. This goal is achievable! Why? Because YOU want it! You would not have put the pen to the paper if you didn’t really want it. Am I right? I hate to say this but you may get knocked down again. However, It’s happening for a reason. That reason is for you to learn, grow and become even stronger and more fearless than before. I am speaking from experience. I KNOW this is the way to achieve the ultimate success. For some it may come easy and others not so much. Everyone has a story and we all deserve ultimate happiness. Whether it’s a personal goal or business goal prioritizing is key. Make a list of the jobs and/or clients that will make you money. Then put them in order of who is going to make you money first. No one has time to waste. Let’s be honest! Some of you are in it for the thrills and others for the long haul. If you are a workaholic like me then you know what I mean. Blood, sweat and tears people! I say this as I am currently on the hunt for the last two tickets available for JLO ‘s show tonight. This is REAL life! Shortcuts are few and far between. Let’s all “take a ten” at some point today and write down how we are going to be fearless and achieve those goals! If you don’t need to be fearless then you are definitely one of the lucky ones. And I hope you will still continue to keep reading my posts. I have some pretty amazing things happening that I am dying to share with you. One because it is something Vegas has yet to see and two because I am living proof of what I am “preaching”. Being FEARLESS!!! The reason why I am telling you all of this is because it keeps me accountable and I also feel that there aren’t many places to go for such real honest and “comedic” business and life inspiration. The BIG GAME is this weekend! I hope everyone is getting ready to eat, drink and cheer on your team. Until then sharing is caring so let’s hear how you choose to be fearless AND who you think might win the game! As always thank you for reading and for more insight on life find me onInstagram! Health. Wealth. Happiness. Three goals we are all striving to achieve. How many of us work more than 60+ hours a week? I think that is the norm these days no matter what industry you are in. How many of you drink 3 coffees in the morning and have breakfast at 3pm? Been there done that. It is so unhealthy but soooo common! Having a busy schedule is one thing but having it on top of being sick is another. It’s seriously the worst feeling ever! Day dreaming of chicken soup and your warm bed…I know first-hand how stress can really do some damage on you. Mentally, physically and emotionally. It’s not a fun time as I’m sure I am not alone in this feeling. We are now into the second month of 2016. I feel like January was just a month of prepping for what is to come. I’ve had so many meetings over the last few weeks and everyone I speak with agrees. Thank god I’m not alone! One of MY biggest goals is to stay healthy throughout the entire year. Let’s be honest if you don’t have your health you don’t have much to offer. Being healthy is my number one. I can say I want to drop a few pounds (which I need too) but my health and doing it correctly is another. I want to be able to help others and smile every morning when I wake up (after my coffee). I won’t be able to do that if I don’t take care of myself first. Every call I get from someone that I haven’t spoken to in a while will ask me the same two questions. Are you happy? How do you feel? I am so lucky to have those people in my life that actually care. We all know not everyone does. My advice…weed those people out of your life. Life is too short for the drama! You need to find your “tribe”. A “tribe” that will support you and always be there for you and in the same way you are for them. As a “happy” workaholic I am going to make a commitment to myself to continue to make healthy decisions for 2016. I’m going to get off my computer and take short breaks. I’m going to go for walks in the middle of the day to get fresh air. I’m going to call or text a friend that I know needs a little cheering up. It’s little positive changes like this that I know will help me in the long run. YOU should make a short list. Working a lot is what I choose to do. I always have enjoyed it, call me crazy! However, 2016 I’m doing it in a new way. A happy and healthy way! Everyone wants to make money but we have to focus on the positive and productive way of going about it. We have to focus on ourselves first! I hope that I can shed some light on a topic that we have all been thinking about. And please know you are not alone when it comes to stress, skipping meals and drinking too much wine after a long shift! We are all here to support each other so let’s do just that! Our health, wealth and happiness is up for the taking. Speaking of taking… I would love it if you could take a moment and comment below on one goal you have for yourself. I will then know that you are reading “The Happy Workaholic” and we can begin this movement together. Don’t forget sharing is caring. “The Happy Workaholic” loves feedback. Here on LinkedIn as well as my Instagram. I would like to start my very first post off with one of my favorite quotes by Zig Ziglar. It’s a good one right? I mean who doesn’t want to be GREAT? It’s also #motivationmonday so why not keep up with those social media trends! (written yesterday on LinkedIn). I decided to start posting on LinkedIn under this name as it signifies so many things for me which you will find out soon if you keep reading. I have a voice (a loud one at that). I want to be heard. I want to build relationships for others and their brands. I want to create something new every day. I just want to work and be happy. Hence “The Happy Workaholic”. Some of you may agree and some not. However, this is MY story and I hope you will enjoy it and take something from each post I share. I’ll admit it. I definitely have a problem with listening. However, I always “go with my gut”. Some decisions ended up with a great outcome and some with a lesson learned. The good, the bad and the “What the hell was I thinking”? This is life. And I’m living mine and now sharing it with you. I have gone through hell with some people, brands and deals but I honestly wouldn’t change it because it just makes me even stronger and better at what I do. Better for the next brand and client I am working with. This is where I would like to thank those lovely folks! (Insert sarcasm and the word KARMA here). My focus for 2016 is to create and build more. And to do it with others that are on the same page. Let’s face it no one has time to waste. We all want to be better and bigger. So let’s help each other out! Find your tribe as they say. Even if you have three people. You will be surprised on what you can come up with. I promise that “The Happy Workaholic” will bring you some great insight on building your brands, whether personal or corporate and help create the best working relationships possible. If it doesn’t at least I will be able to provide you with a laugh or two! I have a lot of knowledge in this little head of mine and I am so excited to share it with you here on LinkedIn. I’m aware that my grammar is not the best but I make up for that in inspiration…I bet you never thought you would be laughing out loud reading a post on LinkedIn? This is MY journey and the path I am on is to help others and provide important information so that we can all BE better at what we do! I’m sure I may need to vent every now and then and that’s normal. Let’s talk about it. We all have stressful days and this is the place that we can talk about it. The place being the comment section below. I made the decision to post on LinkedIn and not a typical WordPress blog because I am proud of the connections I have made HERE and am I writing this for YOU! Why would I send you somewhere else? I hope you will keep reading “The Happy Workaholic” because it will only get better from here. If you are on Instagram please feel free to follow my journey their under@thehappyworkaholic and @kkinvegas. LANDED IN LUXURY. A LUXURY LIFESTYLE BRAND. Also, if you are in the Las Vegas area in November please come and join us at the Landed In Luxury Fall Social Mixer. 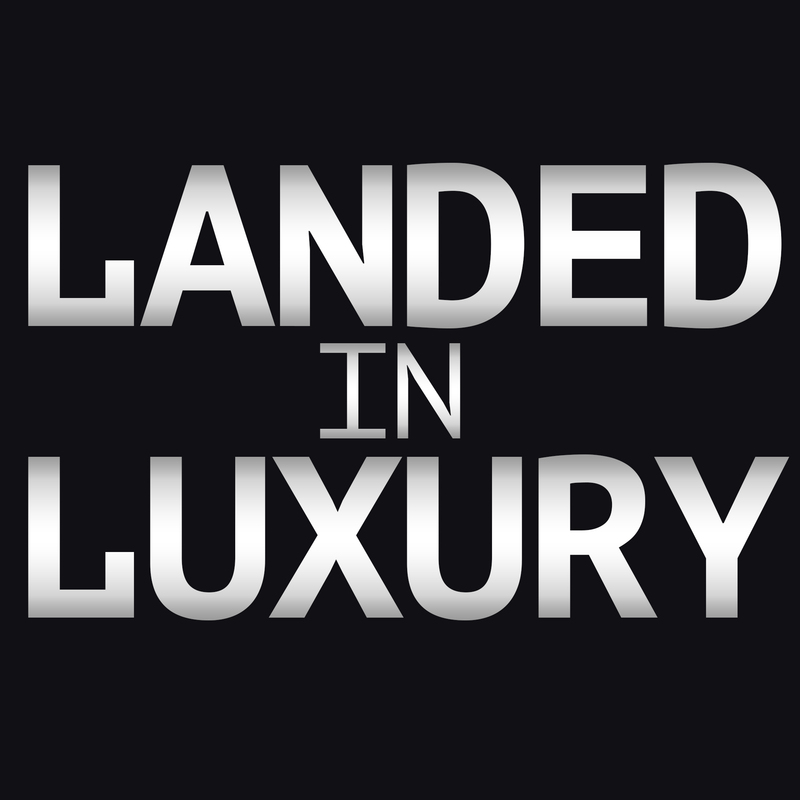 Landed In Luxury is a Luxury Lifestyle Brand. Our mission is to provide clients with the best service possible when called upon for your branding, experience, lifestyle and travel needs. Over ten years of experience has allowed us the opportunity to create our one-of-a-kind collection of luxury services, experiences, and events which are available in Las Vegas, throughout the United States and Europe. Our collections have been created for the individual and/or company seeking great comfort and for those who expect seamless service. We plan, design, brand and execute making sure every request is met with complete satisfaction. When designing our collections we had a number of individuals in mind. The Art Collector, Athlete, Shopper, Sports Fan, Beauty Connoisseur, Foodie, Mixologist, Adrenaline Chaser and Fitness Buff. Our experiences and events have all been tested and approved while consistently growing. Networking plays a very large role in the development of any business. Landed In Luxury has set up a platform for luxury professionals to meet one another on LinkedIn in our L.I.L. Networking Group. We host Seasonal Social Mixers for members of the group as well as other like-minded business professionals throughout Las Vegas. Branding is a necessity for every business. Landed In Luxury is able to provide Brand Integration for your product or business within an array of current Films, TV Shows, Music Videos, Award Shows. Celebrity Endorsement Services can also be provided upon request. Interested businesses may contact us here as well as join our group on LinkedIn for up to date product placement opportunities. Luxury Travel is where Landed In Luxury began and the backbone of our company. We offer private jet flights, motor/sailing yacht charters and the best hotel accommodations and concierge services worldwide. For all up to date launches, news and announcements please follow @landedinluxury on Instagram, Twitter and Facebook.